The second man being questioned is aged 40. 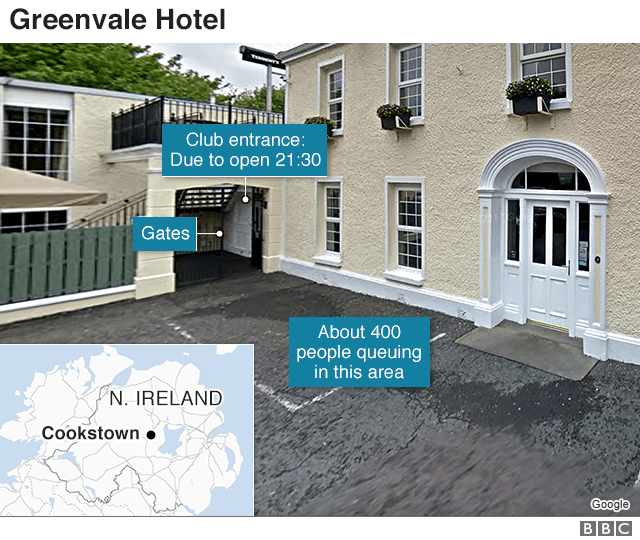 Up to 400 people were outside the hotel during the crush, police have said. The hotel was hosting a St Patrick’s Day party on Sunday night and a large group of young people were queuing to get into the disco at about 21:30 GMT. 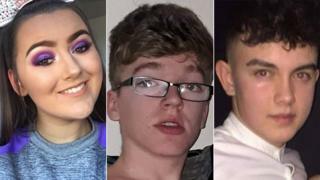 The Northern Ireland Ambulance Service declared it a major incident and police, firefighters and environmental health staff also attended the scene. After discussions with the director of the Public Prosecution Service, Det Ch Supt Raymond Murray said the PSNI have agreed that age is “not an issue in this investigation”. “The focus of our investigation… is about trying to find answers for the families of the three teenagers who tragically died. “We need to know what you saw so the heartbroken families of Connor, Lauren and Morgan know what happened to their children,” he said. Lauren Bullock was a pupil at St Patrick’s College in Dungannon while Connor and Morgan attended St Patrick’s Academy in the same town. 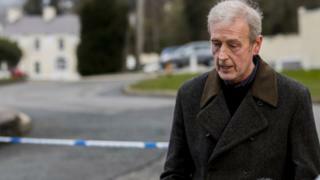 Northern Ireland’s Education Authority (EA) has deployed staff from its “critical incident team” in five schools in the area. EA chairwoman Sharon O’Connor said they have also “provided support and advice to a further seven schools in the area”. “The EA Youth Service has opened its facilities at Ógras Youth Club, Coalisland, Dungannon Youth Resource Centre and Cookstown Youth Resource Centre in order for young people affected by the tragedy to engage with youth workers,” she added.